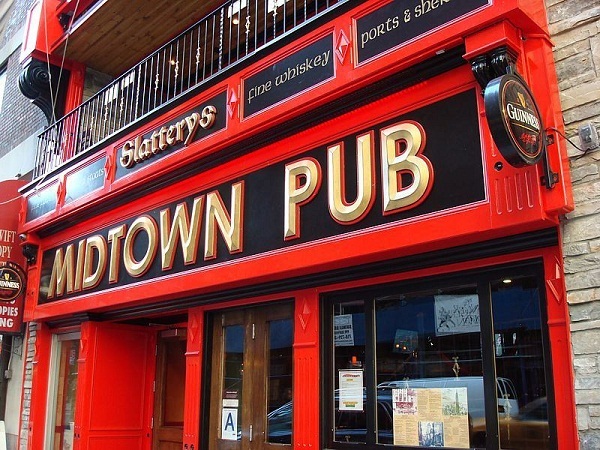 Slattery’s Midtown Pub caters to an after work and neighborhood crowd. 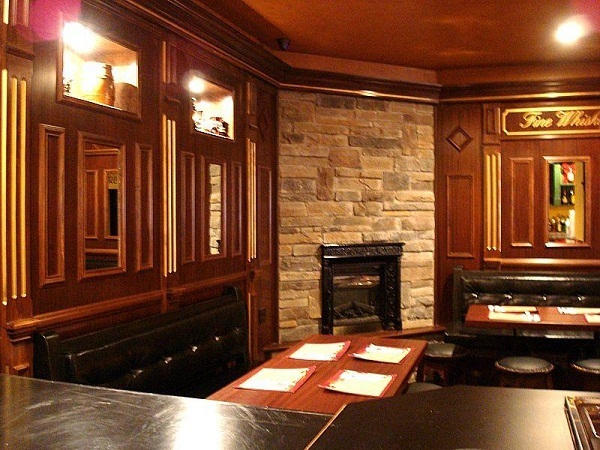 Flat screen TVs throughout as well as comfortable banquet booths make it an ideal place for happy hour, a quick bite or sit down meal. The menu has pub favorites such as burgers, wraps, sandwiches, wings, salads and traditional entrees such as pot pies, shepherds pie and fish and chips. On weekends, a full Irish breakfast is served. Open for lunch, dinner, brunch and a late-night menu. $12 lunch special includes complementary drink of choice. The televisions around the restaurant and bar area are always featuring the latest games. Slattery’s welcomes all NY Rangers and NY Yankees fans for game watch parties. 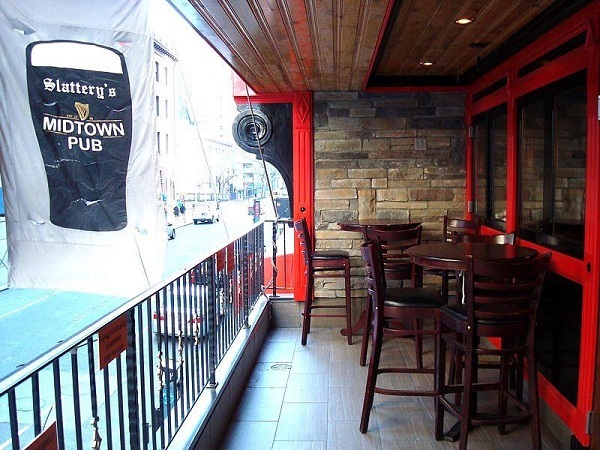 You can get a free shot for every Yankee homerun while viewing games at Slattery’s. Slattery’s is home to the NYC chapter of Miami Dolfans, as well as Carolina Tar Heels, and Kansas State Wildcats alumni game watch parties. 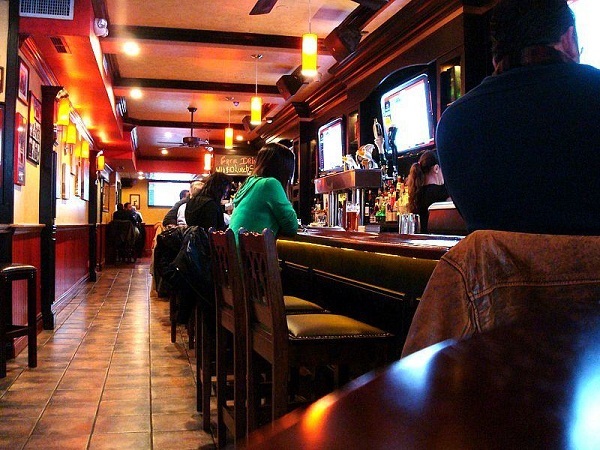 Trivia Night hosted by Trivia A.D.
2 for 1 drinks 11am-7pm. 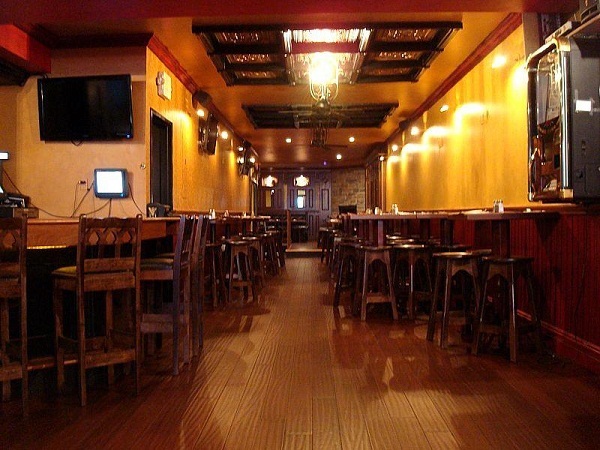 The upstairs bar room is available for private parties. 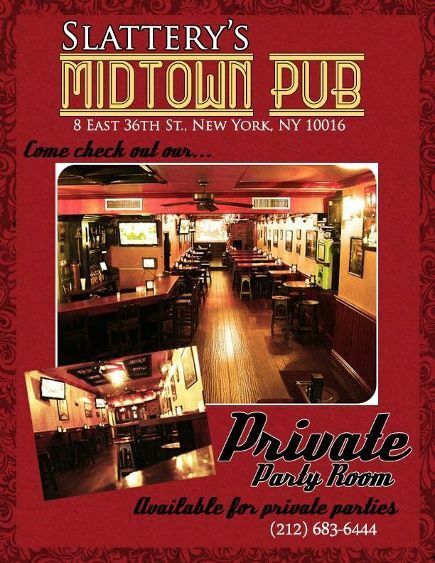 Call (212) 683-6444 to book your party.